possesses a glorious sense of power." Joseph H. Pilates is the creator of what’s referred to as the Method. We utilize principles developed by Pilates to enhance the fitness programs we develop and to assist with rehabilitation in a typical physical therapy session. Pilates exercise can be done either on a mat or on special apparatus designed to either enhance or assists with the exercise. 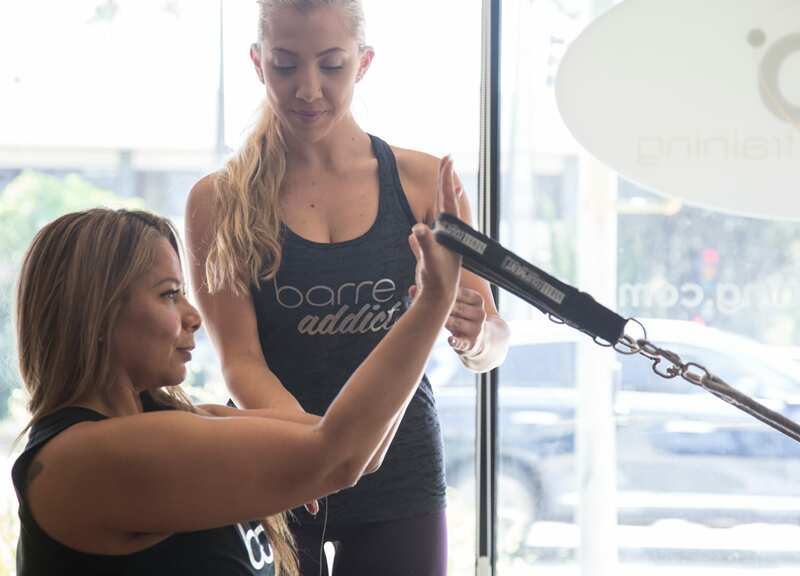 Some of the equipment used include the Reformer, the trapeze table (sometimes referred to as the Cadillac), multi chair or wunda chair and a host of other smaller toys to help strengthen and tone the entire body. Pilates is unique in that it strengthens the body as well as improving flexibility. Core strengthening focusing on the abdominals is another big key component to Pilates. The lack of ballistic movements also makes this form of exercise ideal for people of all ages and all abilities. Dancers and athletes, including golfers, swimmers, football players have used Pilates to improve flexibility, core strength and most importantly performance.